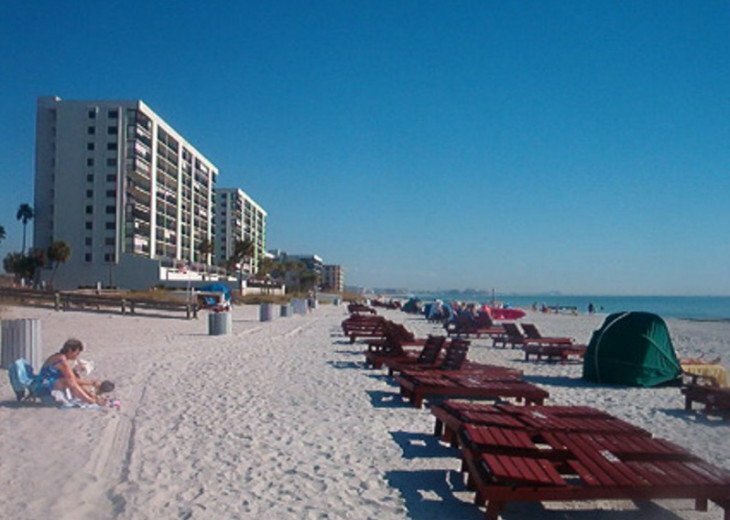 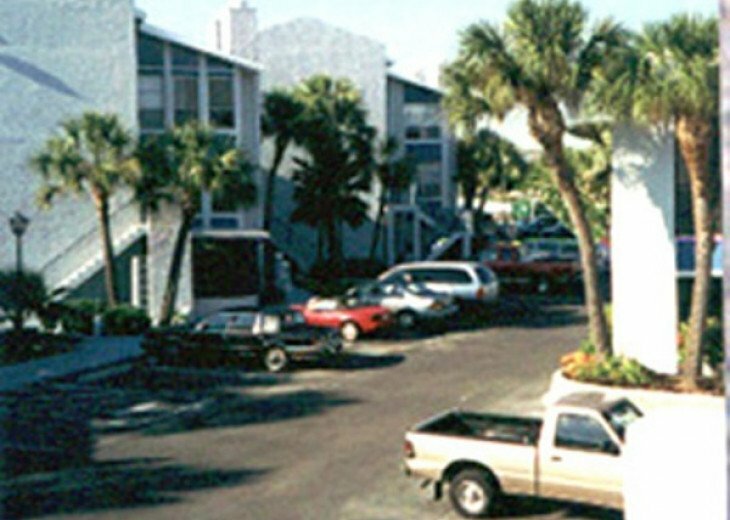 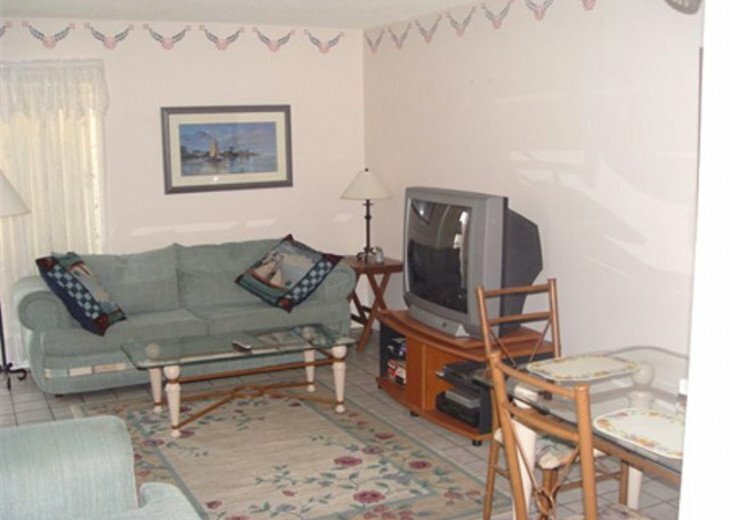 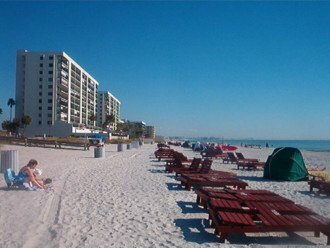 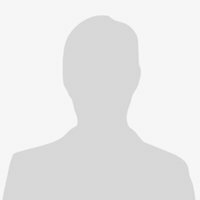 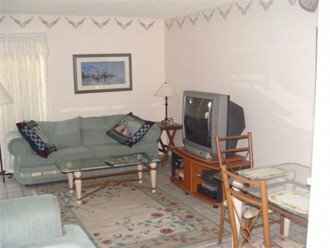 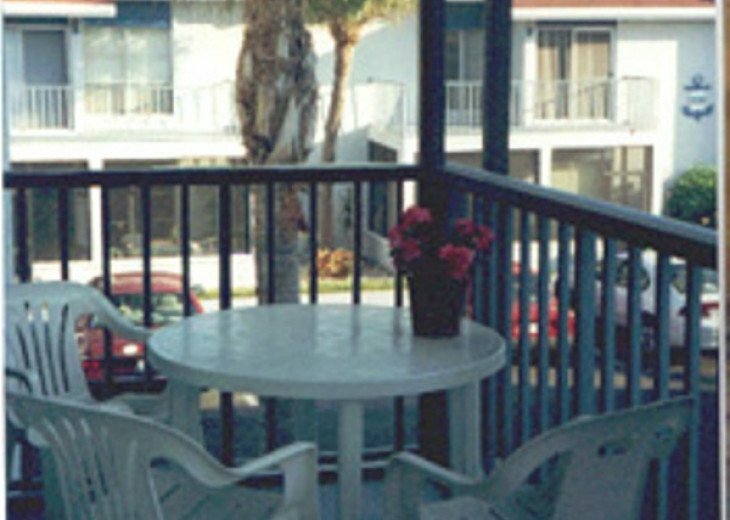 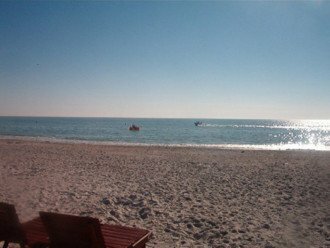 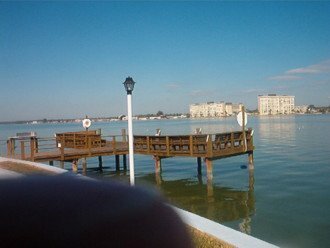 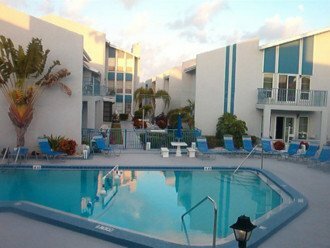 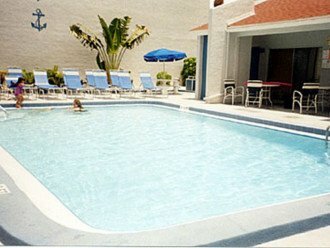 Madeira Beach Condo Rental: Florida's best kept secret! 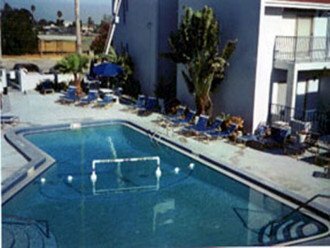 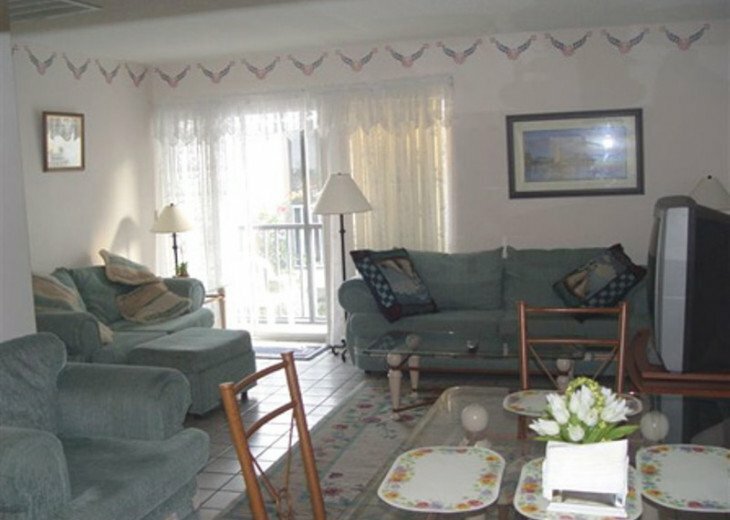 This is a beautifully furnished condominium with two bedrooms, dining room furniture and private balcony accessible from living room. 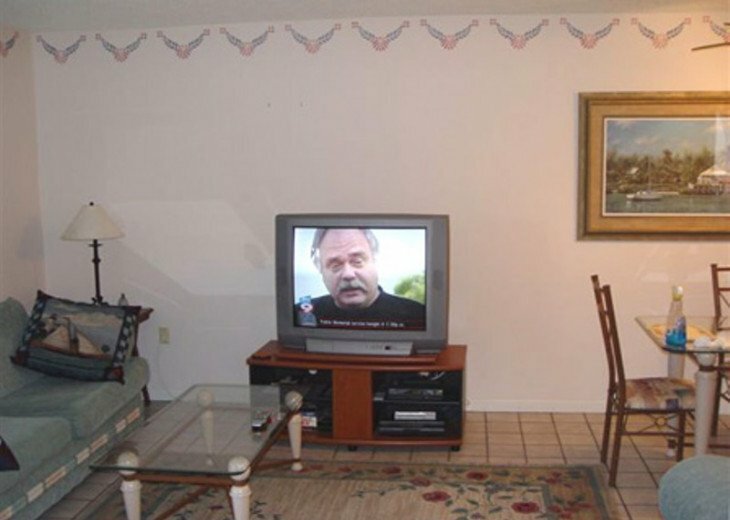 The unit has two TVs, regular cable in the bedroom on a 26" screen and premium digital multimedia service with 14 HBO channels and 12 Cinemax channels in the living room on a 36" screen. 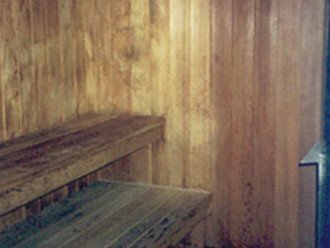 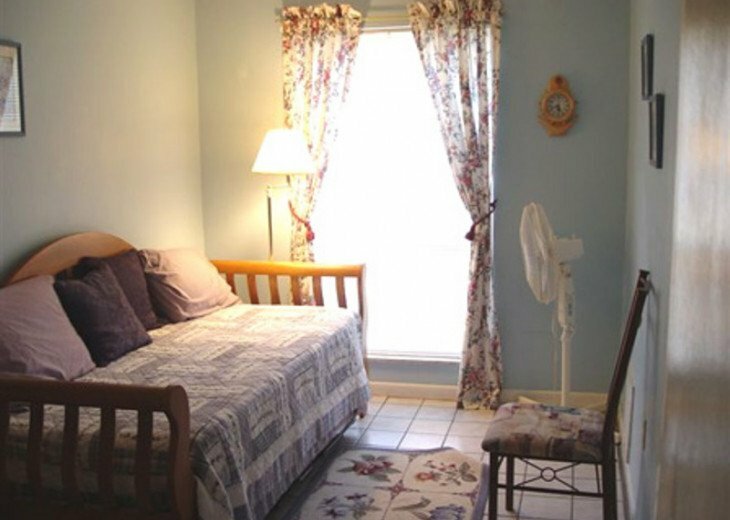 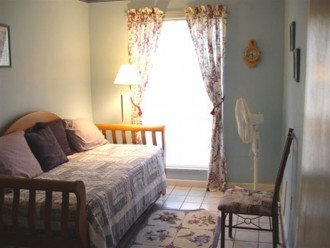 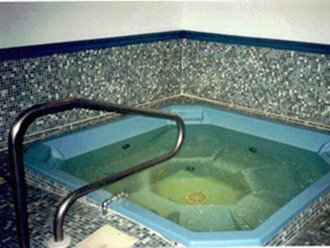 Included are also a VCR with movies, ceiling fans, drapes, inside utility, sauna, walk-in closed, new A/C unit, towels and linens. It can sleep up to 6 people. 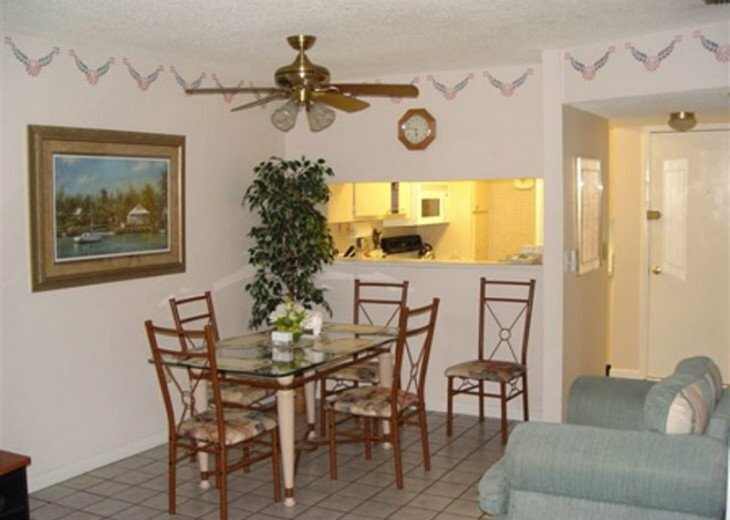 The spacious dining room and living room area offer a comfortable way to relax during your vacation. 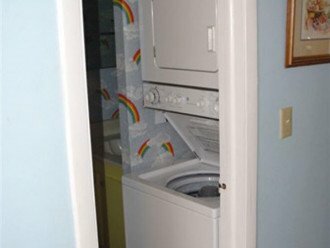 Included are also in-unit washer and dryer. 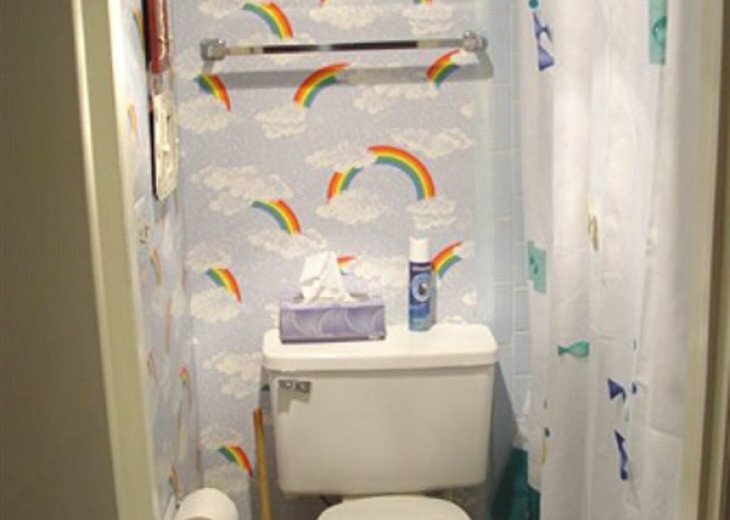 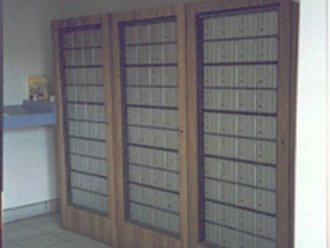 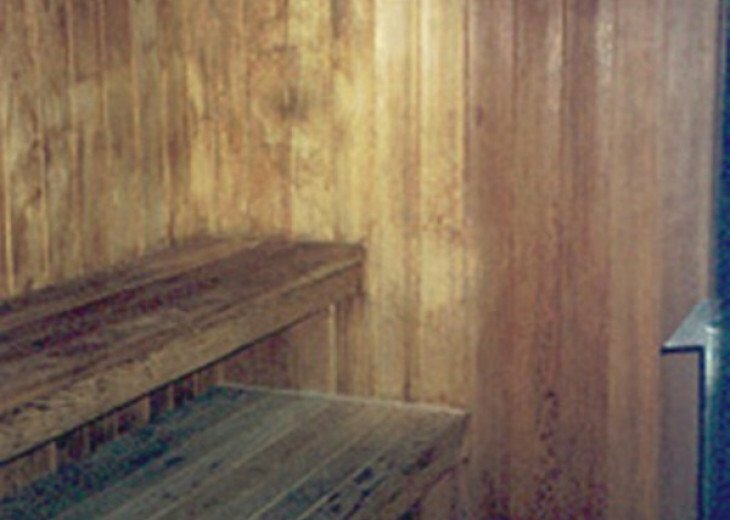 This unit has been redecorated recently. 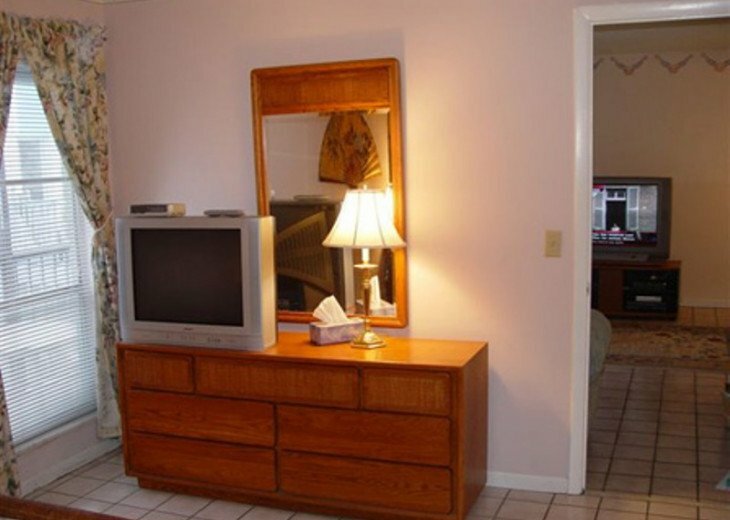 The master bedroom has a queen-size bed and a TV. 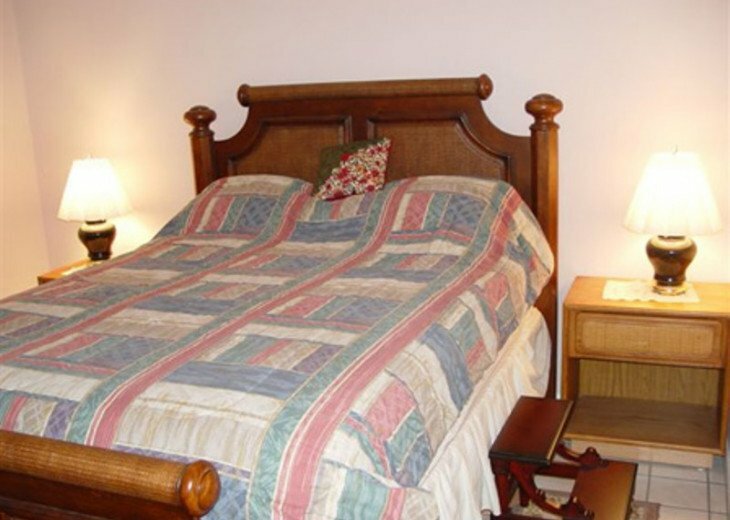 The second bedroom has a new day bed; the second bed pulls out from underneath. The kitchen is fully equipped with microwave oven, toaster, coffee maker, dishwasher, disposal, range, refrigerator, dishes, flatware and much more. 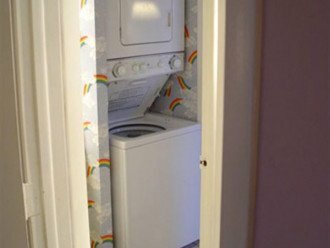 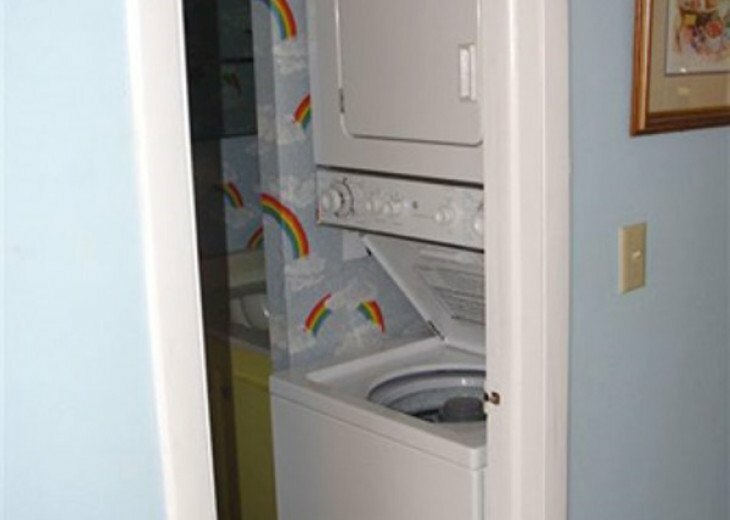 You also have your own in-unit washer and dryer combo. 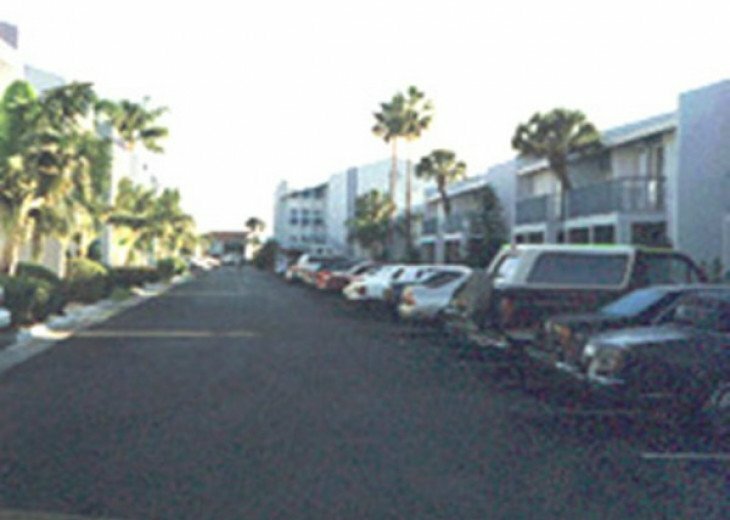 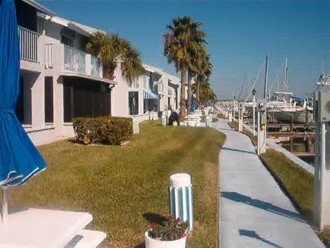 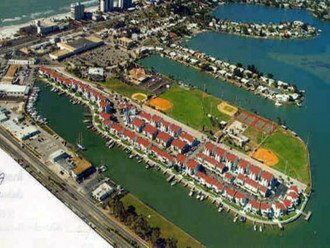 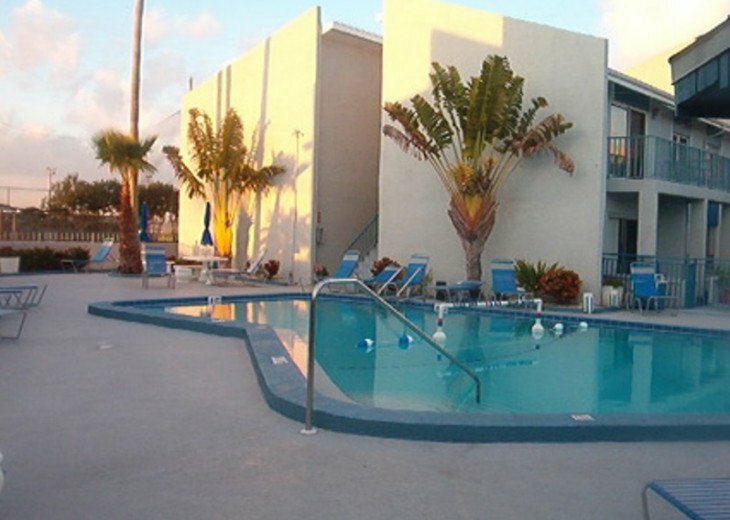 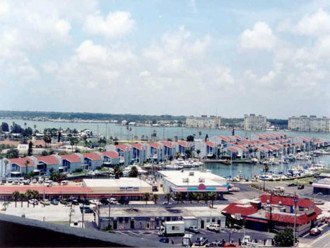 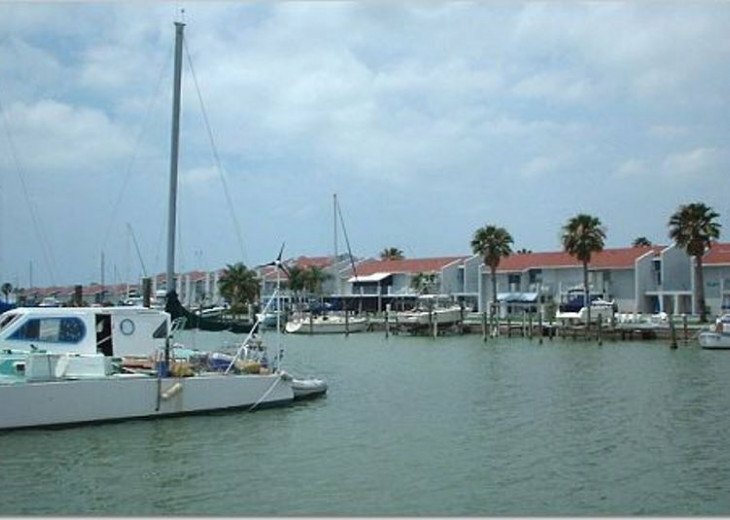 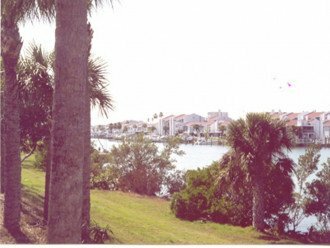 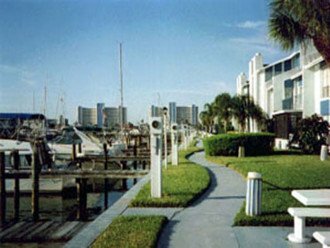 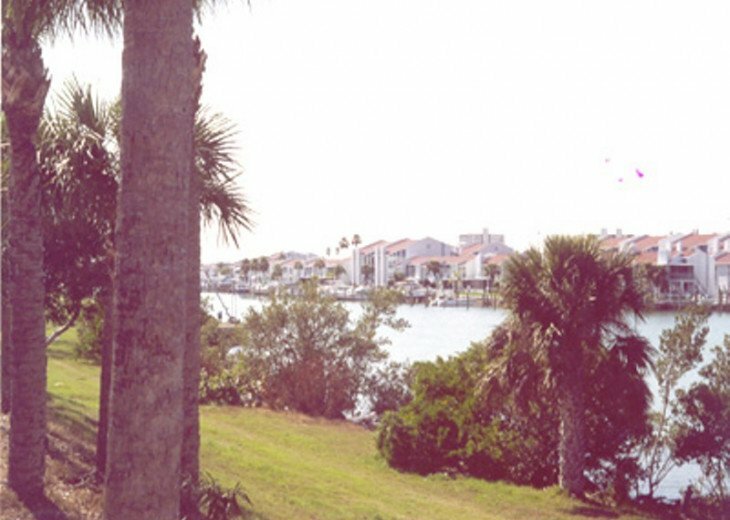 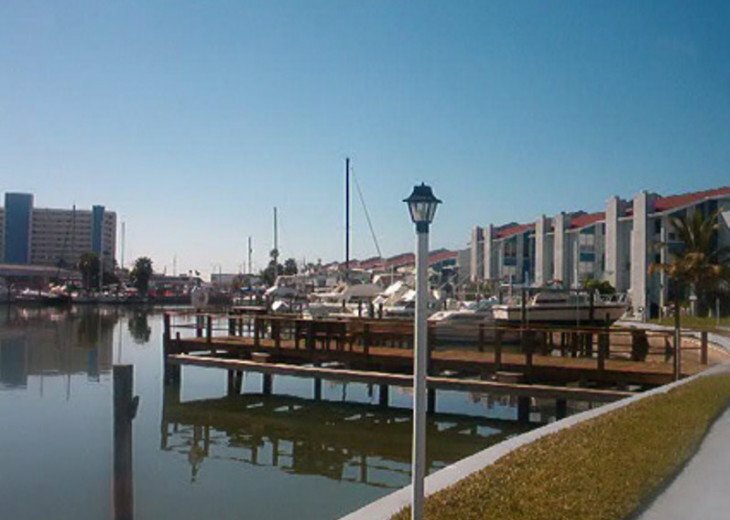 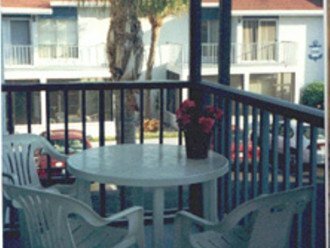 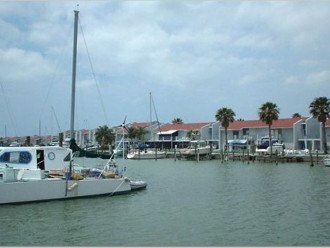 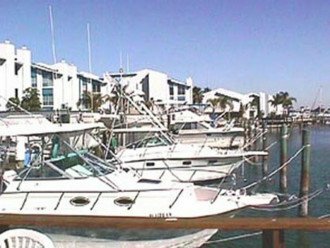 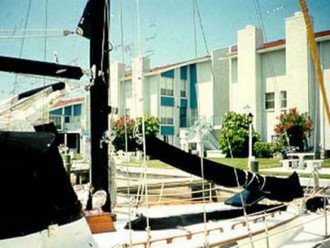 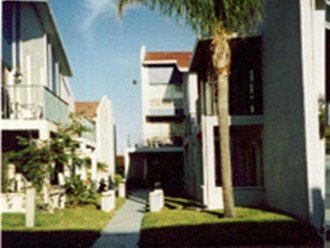 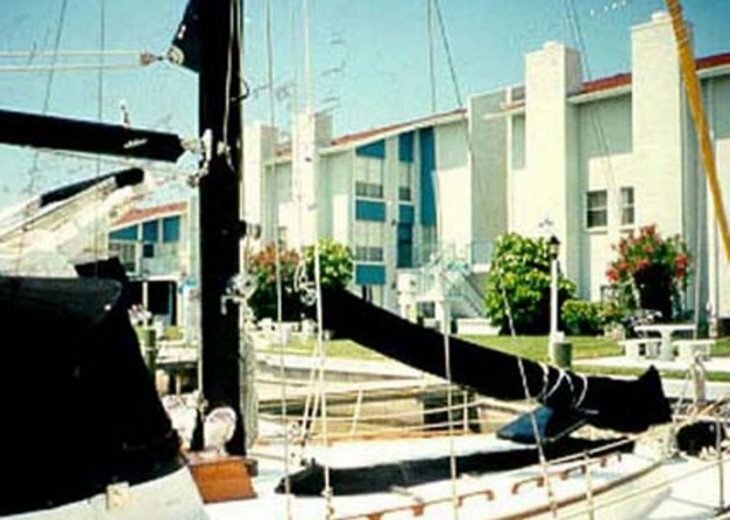 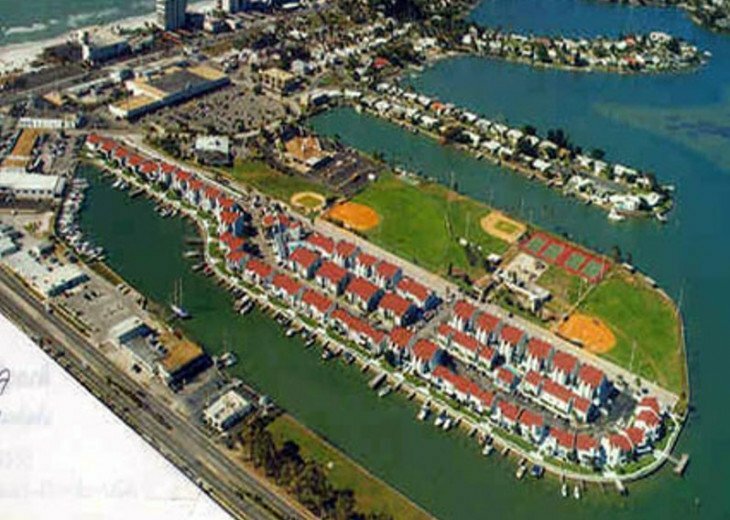 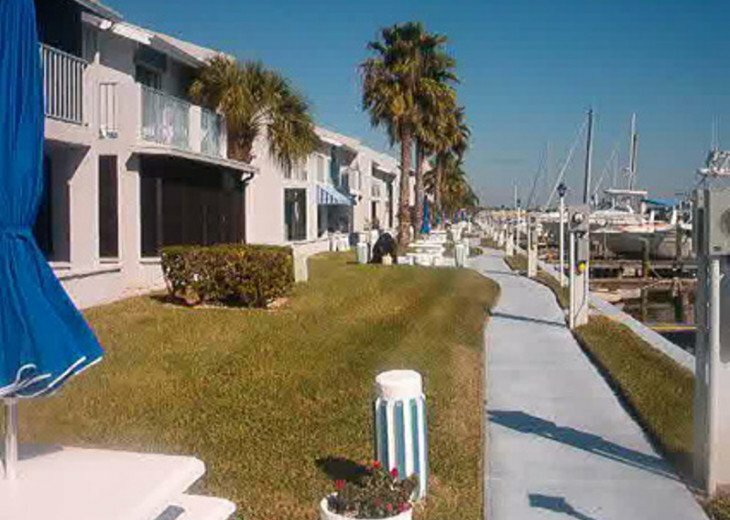 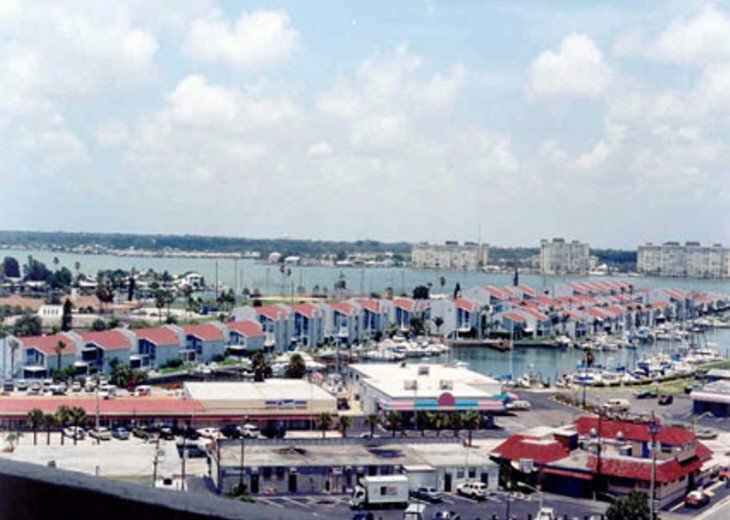 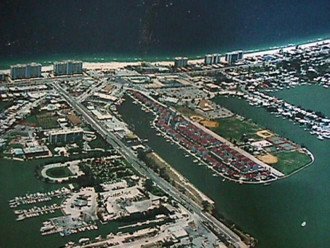 Located on the Intracoastal waters, this gated, red-roof condominium complex is only a few hundred yards from the sandy beaches of the Gulf of Mexico. 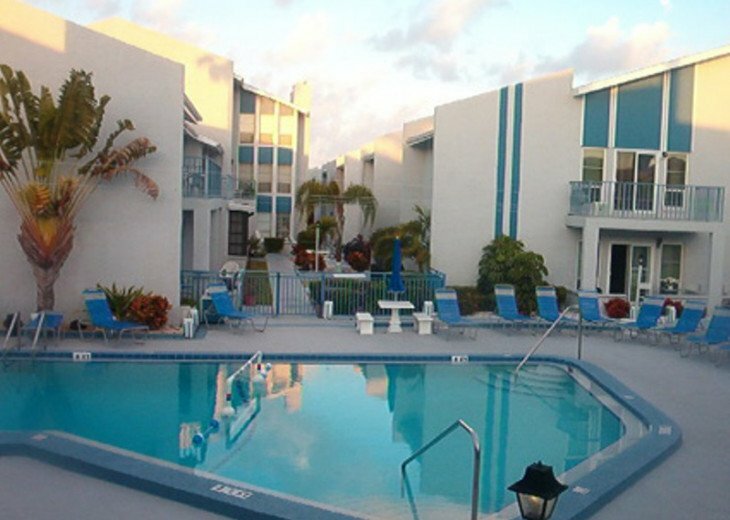 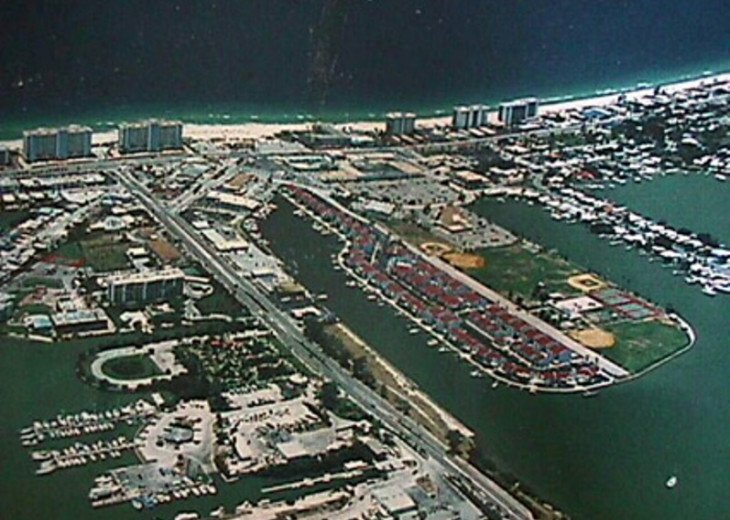 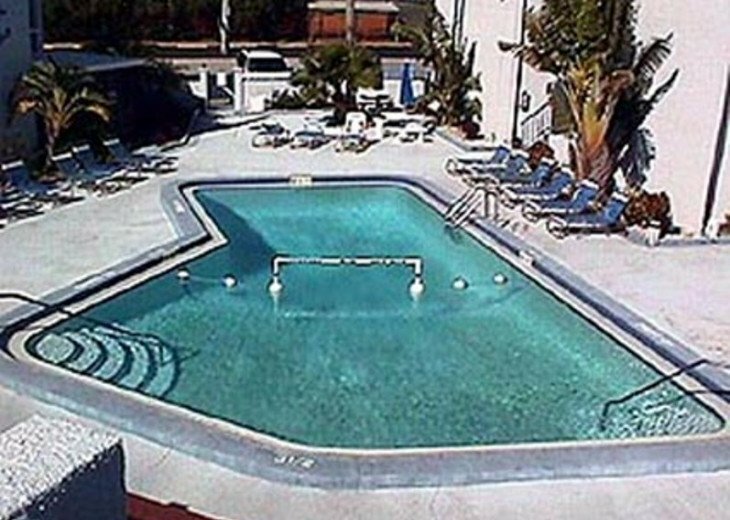 This 286-unit complex offers the most for your money on the Gulf Beaches. You are within walking distance of everything, including shops and restaurants, and don't need a car to get around! 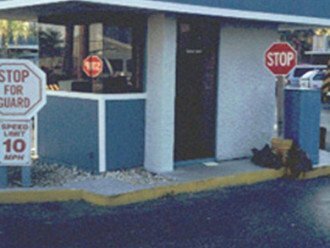 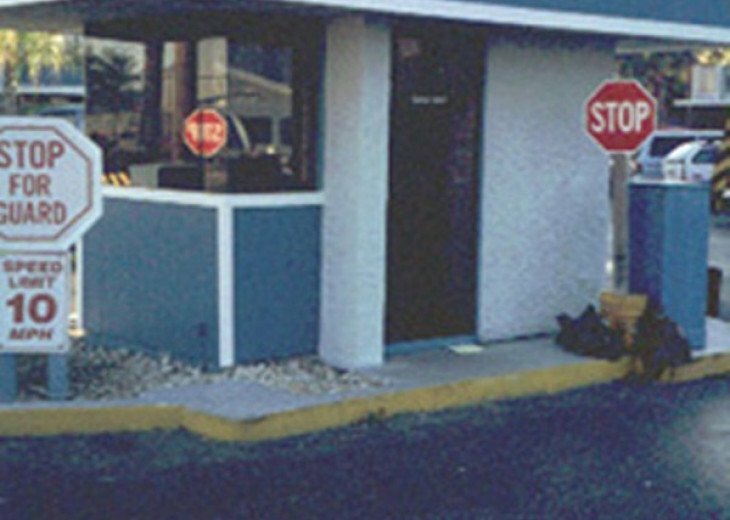 You are also close to the bus line but should you decide to come with your car, you will have a reserved parking spot outside. 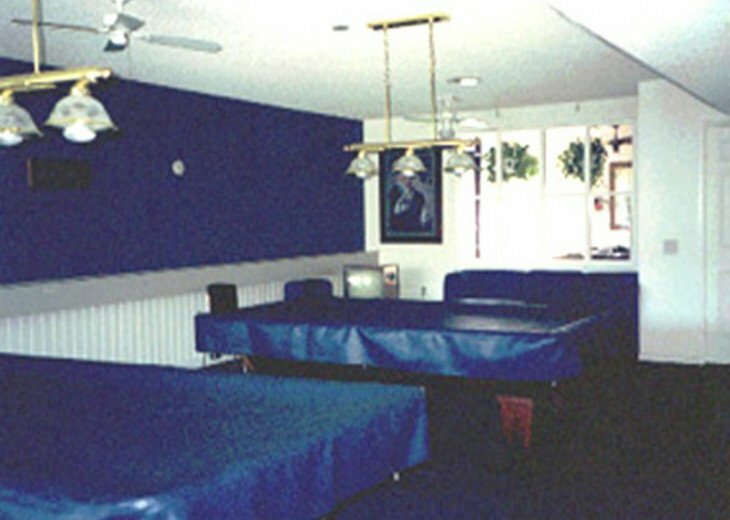 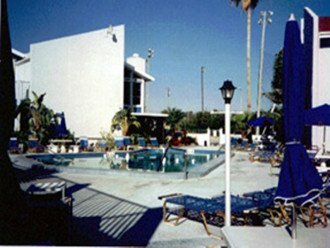 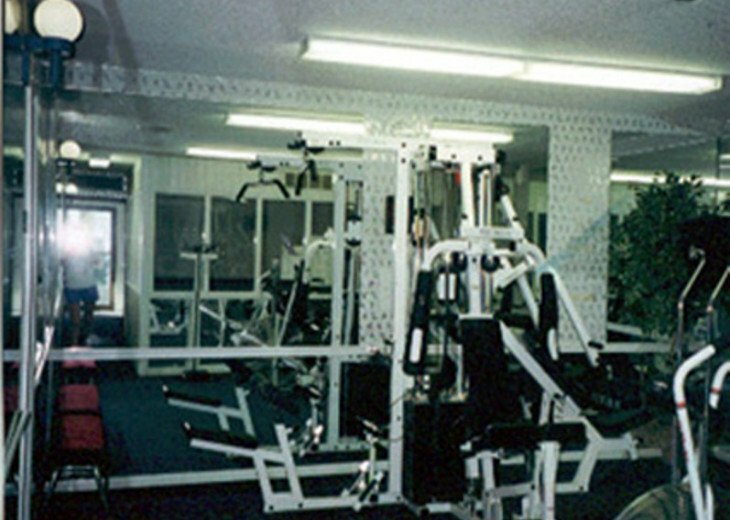 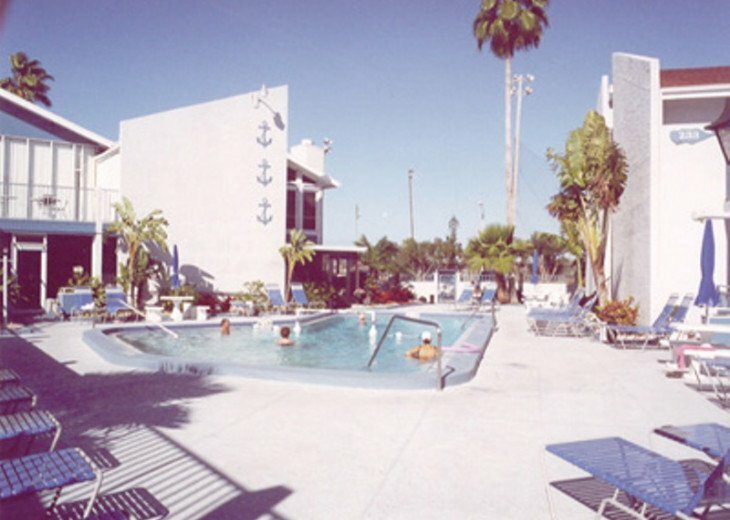 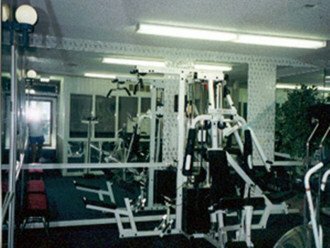 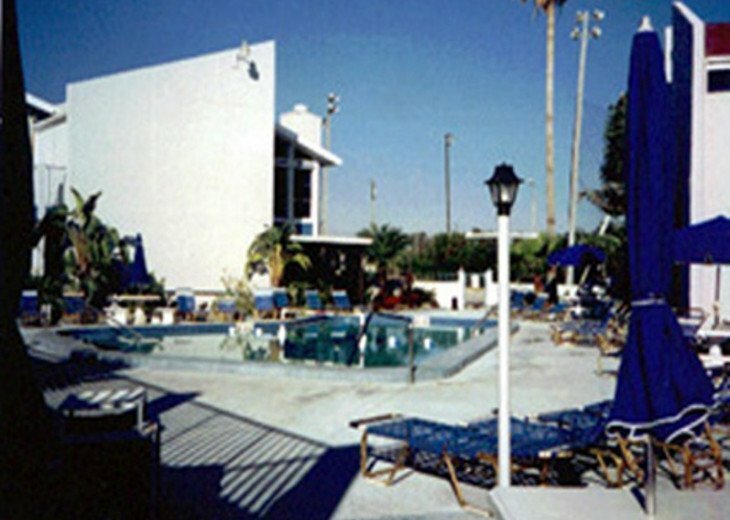 The Club House offers an exercise room with Jacuzzi, pool table room, card room. 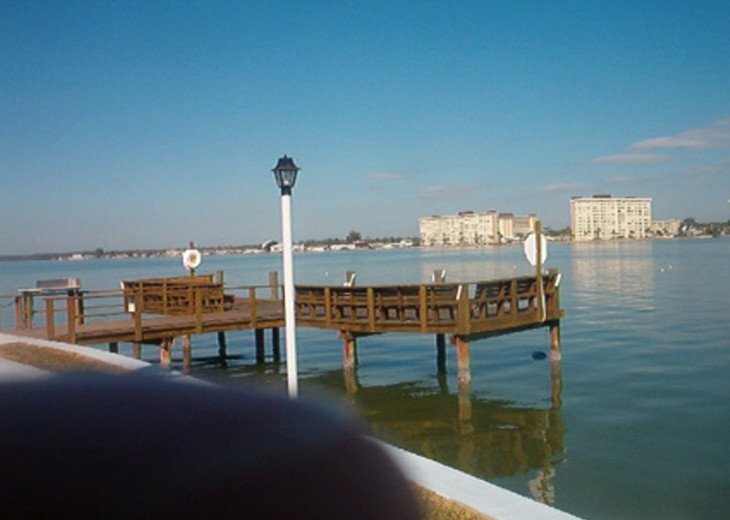 There are four fishing piers. 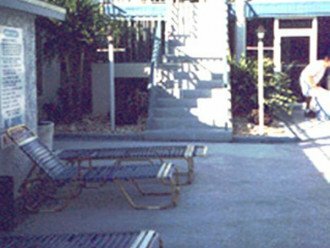 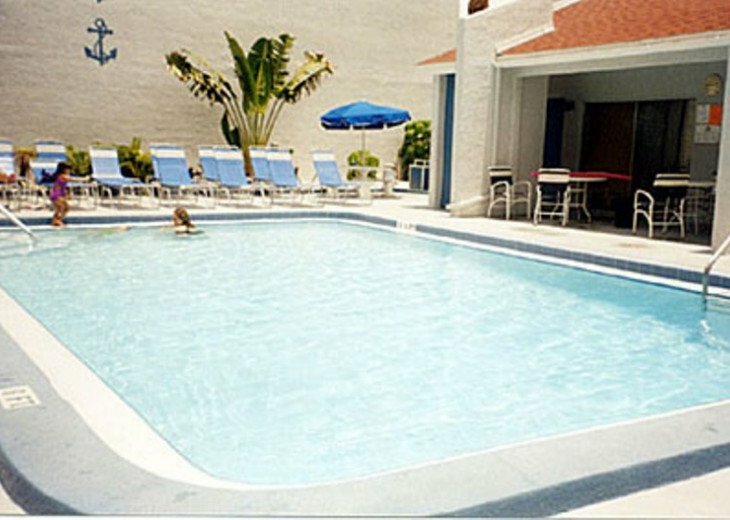 You have two heated swimming pools at your disposal and the pool areas offer plenty of lounge chairs and tables to enjoy a light meal for lunch or dinner. 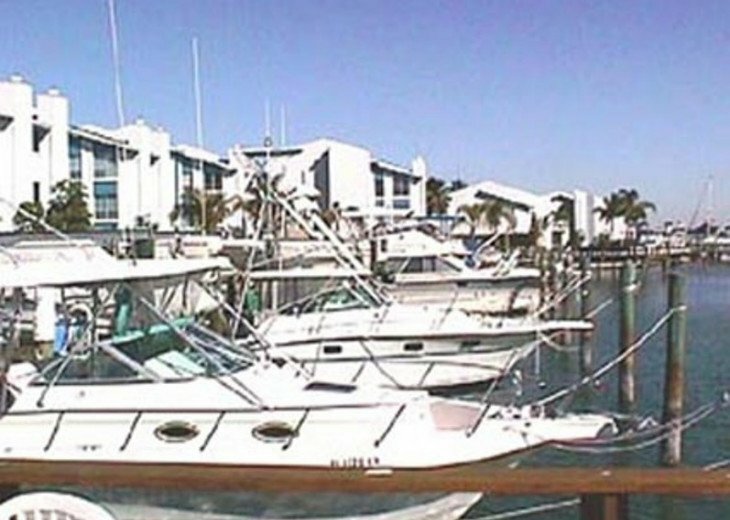 Boat are slips available for rent. 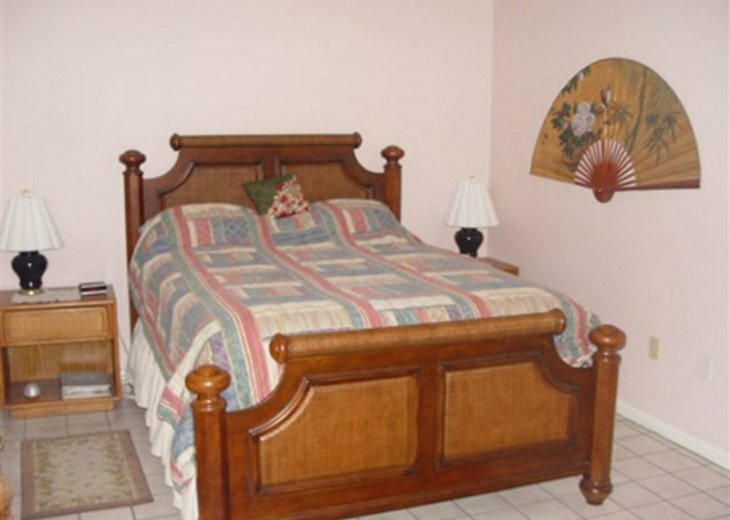 The second bedroom has a new day bed; the second bed pulls out from underneath. The unit has two TVs, regular cable in the bedroom on a 26" screen and premium digital multimedia service with 14 HBO channels and 12 Cinemax channels in the living room on a 36" screen. 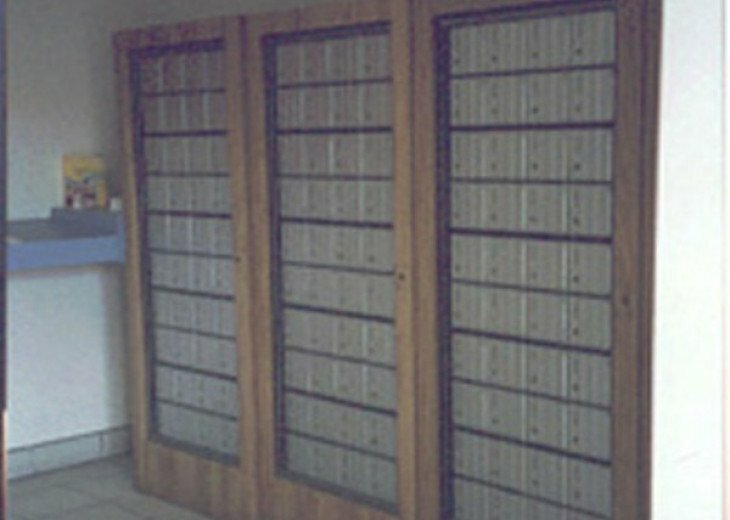 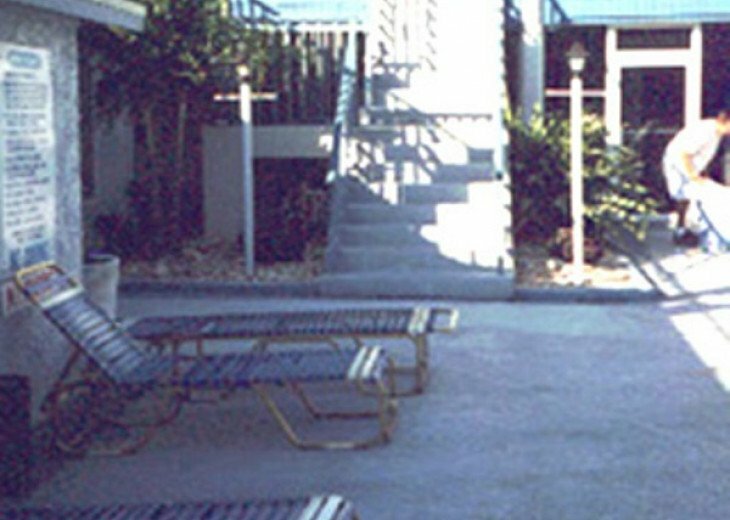 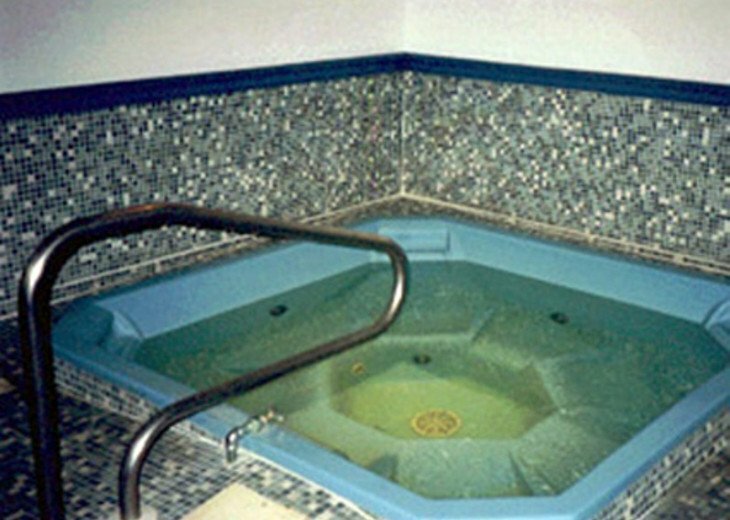 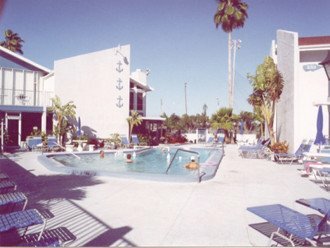 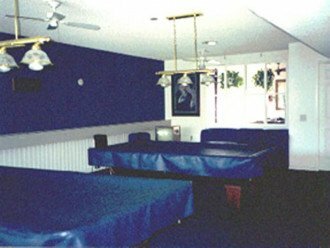 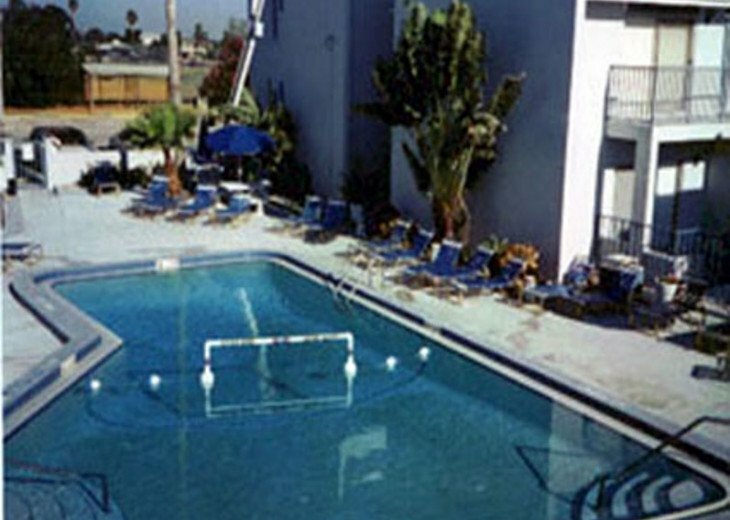 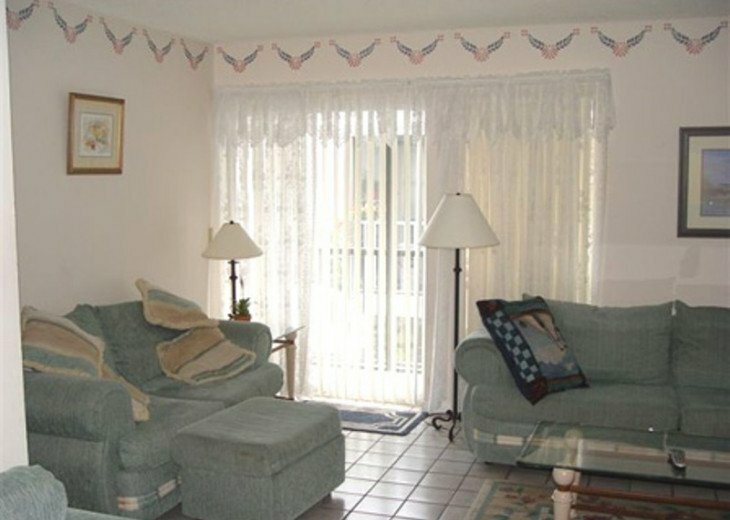 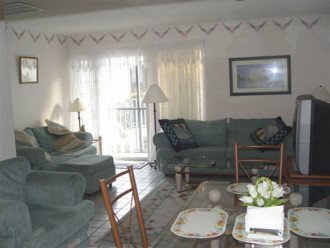 Living room, VCR, drapes, sauna, towels and linens, disposal, range, flatware, Jacuzzi, card room, two heated swimming pools.